With our brightest day of the the year upon us I wanted to share my favorite native legend of how Raven stole the sun and gifted it to us humans. 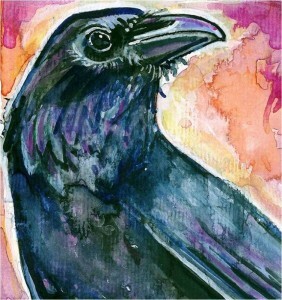 Raven medicine is about bringing light and magic out of the darkness/void. Although this bird has very conflicting information I always find the root of the negative myths based on our fear of change and death. This Haida (Pacific Northwest Native Tribe) sees Raven as a trickster and creator spirit helping us to learn from our folly and find the light of wisdom. There may be lots of folly on our planet right now but we always have a chance to learn from our mistakes. 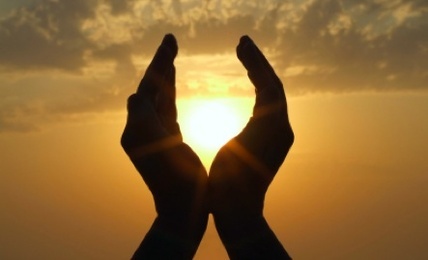 Embrace the light this summer solstice and bring some magic into your life! Eventually the Raven came upon the home of an old man who lived alone with his daughter. Through his slyness, the Raven learned that the old man had a great treasure. This was all the light in the universe, contained in a tiny box concealed within many boxes. At once the Raven vowed to steal the light. He thought and thought, and finally came up with a plan. He waited until the old man’s daughter came to the river to gather water. Then the Raven changed himself into a single hemlock needle and dropped himself into the river, just as the girl was dipping her water-basket into the river. Even though he had a rather strange appearance, the Raven’s grandfather loved him. But the old man threatened dire punishment if he ever touched the precious treasure box. Nonetheless the Ravenchild begged and begged to be allowed to hold the light just for a moment. Moving his powerful wings, he burst through the smoke-hole in the roof of the house, and escaped into the darkness with his stolen treasure. The soot from the smoke-hole dyed Raven’s feathers black as he flew toward the East and dropped the ball of light for the first sunrise.